The first convention of 2012 that I will be attending is about a month away. 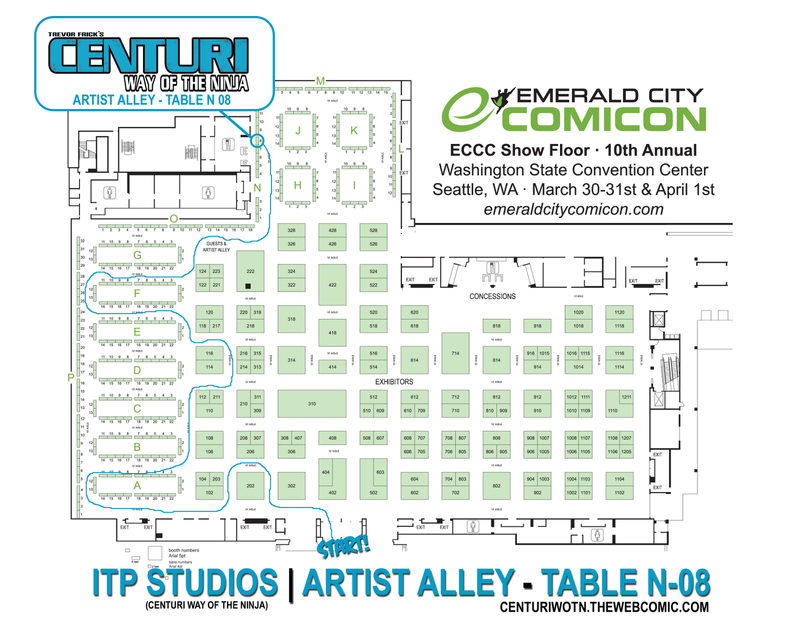 The Emerald City Comic Con is one of the best con's around with one of the best guest lists every year. This is their 10 year anniversary so I am sure that they are planning to have tons of cool things going on. If you are anywhere near Seattle around March 30th - April 1st, I would high recommend attending this show. 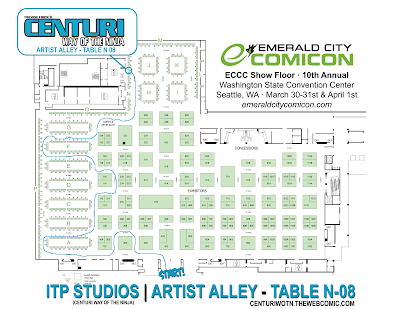 Below is a map to my table were you can get all your Centuri WOTN swag. The table location is subject to changes but in my years of attending this show I have only been moved once. If I am, I will post an updated map. 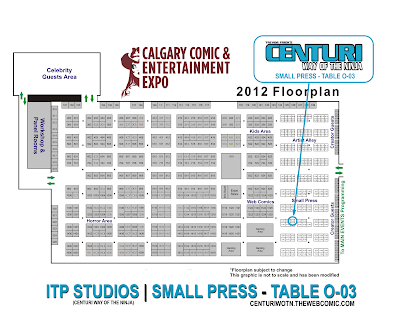 I plan on attending the FanExpo in Vancouver on April 21st-22nd, but I am still waiting for a conformation. Stay tuned. 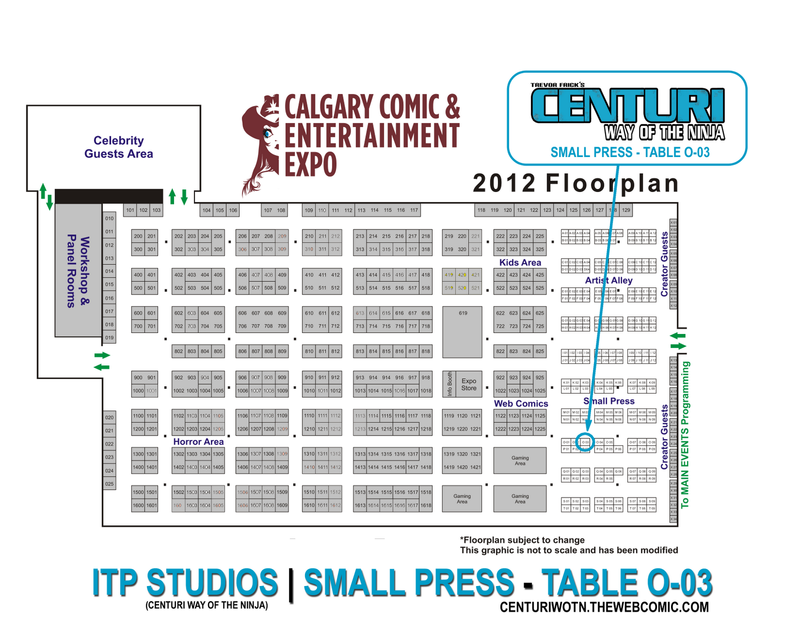 The following weekend I will be in Calgary for the Calgary Comic and Entertainment Expo . This show has been around for several years now and it has been shaping up quite nicely. This year they has some huge guests, as the original cast of STAR TREK THE NEXT GENERATION will be attending the show as well as THE MAN himself, STAN LEE. I am really looking forward to this show. Again I have a map to my table. Be sure to stop by if you are in the area.